Podcasting has become immensely popular all over the Internet in the last few years and gives users the opportunity to broaden their web presence while increasing traffic simultaneously. Nearly 46 million Americans listen to podcasts on a monthly basis. Numbers like those are hard to ignore. In this article, we’ll tell you everything you need to know about podcasting with WordPress and help you get started by introducing you to some of the best plugins to get the job done. Let’s put all of this into context before we move on. Adam Curry and Dave Winer are behind the creation of iPodder which forms the building blocks of modern day podcasting. The purpose of the site was to provide users with an elegant broadcasting mechanism enabling them to listen to audio content whenever they’d like. Podcasting has been around since 2004 and, over a decade later, they’re regaining popularity among the masses. According to a study, more people are listening to podcasts in the United States than ever before. Nearly 46 million Americans listen to podcasts per month. 27 million Americans listen to an average of 6 podcasts per week. More than half of the podcast listeners consume them on their smartphones. 45% of the podcasts listeners hold a college degree. 25% of podcast listeners plug their smartphones into their car’s audio system nearly every day. Apple has surpassed 1 billion subscriptions for podcasts via iTunes. Podcasts are trending once again and this time they’re here to stay for some time. Most of the podcast listeners are young, affluent, and well-educated people who crave audio content on their morning commutes and running their daily errands. Apple’s products come with the stock Podcast app whereas other apps like SoundCloud, Tune In, and Stitcher are also widely used. Podcasting and WordPress are like two peas in a pod (pun intended!). WordPress is an immensely popular CMS and its users like to keep up with the latest trends and styles. You’ve probably noticed that most of the WordPress hubs have added a podcast to their site to supplement their daily blogs covering everything from the latest happenings to tutorials. In a way, website owners are translating written content into audio content. A podcast combined with a WordPress site is far more beneficial for website owners from a marketing perspective in that both promote each other and cover twice as much ground. At this point you’re probably convinced that a lot (and I do mean A LOT) of people subscribe to podcasts regularly but are still uncertain as to whether or not it’s worth all the effort. In the next section, we’ll cover the advantages of starting your very own podcast and how it can benefit your online business. Aside from the fact that podcasting gives online businesses an additional channel to promote their online business, this content broadcasting mechanism has an array of advantages that webmasters can leverage. Podcasting is a smart way to increase conversion rates. For instance, if you’re selling plugins or themes for WordPress, you can market your products to your podcast listeners through your show. Your site’s visitors are more likely to subscribe to emails if they know they’ll also receive regular podcast updates. Adding personality and using a conversational tone throughout your writing builds trust between the author and the reader. Imagine the difference a podcast will make. Currently there are tens of millions of blogs all over the Internet whereas the number of podcasts is still a few hundred thousand. That’s a huge difference which means that there’s a whole lot of room for new entrants. Starting a podcast enables webmasters to attract more traffic to their website and make the most of popular podcasting platforms to gain recognition. An audio channel supplements your website massively in terms of building trust between your viewers (or in this case, listeners). If your site has a blog then your site’s visitors are interacting with you through the written word. Enabling visitors and readers to become listeners adds a human element to your site and your team. A picture may speak a thousand words and a blog may convey your message but a voice is can make all the difference when it comes to improving engagement with your visitors. For most people, making the switch from typing words onto a text editor to speaking their heart out into a microphone is smooth and feels natural. Others may find it to be a rather daunting task. The important thing is to be comfortable in whatever you decide to choose. The concept of podcasting is a little overwhelming at first (believe me, I know!) and figuring out how to start is difficult. In this section of the article, I’d like to walk you through a step by step procedure on getting started with podcasting in WordPress. The first step in creating a podcasting channel is to set up a WordPress site. If you don’t already have one, you can follow WordPress’ famous 5-minute install tutorial to get on board. Once your site is set up, you’ll need to select a decent hosting provider. A media host is recommended because media files (audio, video, etc.) are larger than regular HTML documents. This essentially means that they will use up more resources and hosting them separately guarantees better performance. We’ll look at some WordPress-specific solutions a little later on in the next section. The most important asset in your podcasting career will be your microphone. The audio quality that reaches your listeners depends entirely on the microphone you use so it’s best to spend a fair amount of time (and of course, money) when buying your first microphone. Most podcasting experts suggest that you start out with a dynamic microphone that features front-firing with rejection. This feature enables the microphone to pick up your voice and cancel out any other noises in the recording environment. Rode Podcaster USB Dynamic Microphone. 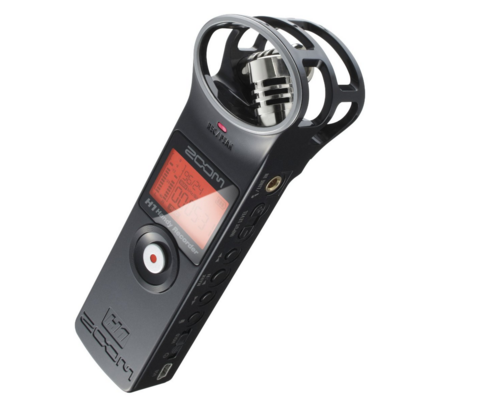 Rode products are popular among many podcasters. The best part is that they are extremely handy to use and you’ll get a dynamic microphone without breaking the bank. A fair trade, I must say. Snowball USB Microphone by Blue Microphones. The Snowball USB microphone is a great choice if you’re just starting out with podcasting or are in the experimentation stage. Heil PR-40 Dynamic Studio Recording Microphone. 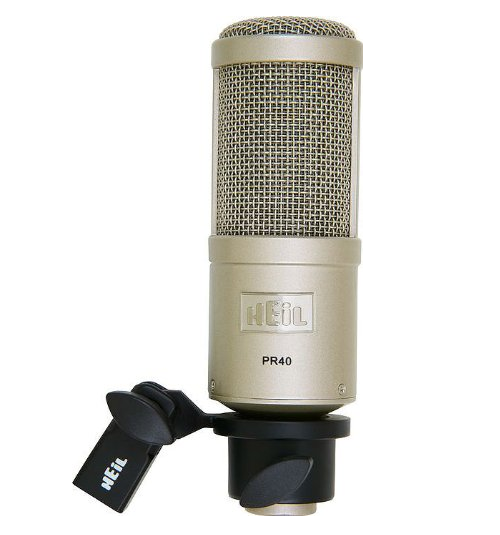 The Heil PR-40 is a professional microphone used by experts. I suggest that you put off buying the Heil PR-40 until you’re comfortable with podcasting and your show really kicks it off. You’ll also need some other equipment like a microphone arm and a decent pair of headphones. We’ve covered the hardware aspect but a good podcasting show takes their software seriously too. Those of you using PCs won’t have to spend a dime recording (Pamela) and editing (Audacity) their podcasts. On the other hand, if you own a Mac, the recording software (Call Recorder for Skype) will cost you a few dollars but you can edit (GarageBand) free of charge. I recommend that you adopt a lean approach to podcasting which means that you should deliver the bare minimum first, evaluate the listeners’ response and then go forward from there. Save more by investing wisely and on time! 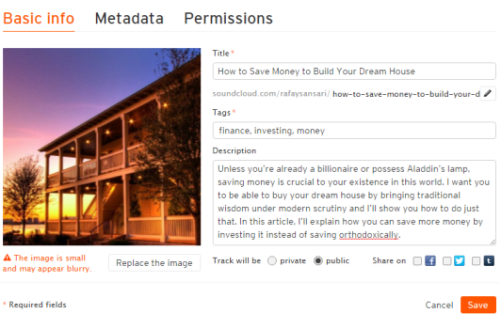 The last step is to publish your recorded podcast on a site or have it go live on iTunes. Platforms like SoundCloud and Libsyn are a great place to start. The advantage of publishing your podcast episodes on a well-known platform is that you’ll have a large pool of potential listeners right off the bat. We’ll look at some WordPress-specific publishing solutions in the next section in detail. By now you’re familiar with the absolute basics of getting started with podcasting. In this section, we’ll walk you through a tutorial for using one of the simplest podcasting plugins for WordPress, Seriously Simple Podcasting, to help you get a hands-on experience with actually using the plugin. Seriously Simple Podcasting is a free podcasting plugin for WordPress, so you can either search for “Seriously Simple Podcasting” in the back end of your site (Plugins > Add New) or download it directly from WordPress.org and upload the plugin to your site. 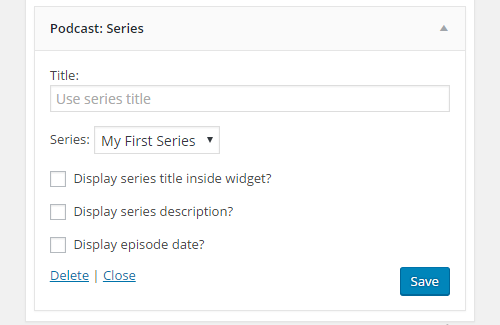 Once you activate the plugin from the Plugins screen, a new menu item, Podcast, will be added to the WordPress navigation bar. Follow the plugin’s documentation to configure its settings (Podcast > Settings) based on your preferences. A podcast is made up of many shows called episodes. Here’s how you can add a new episode with the Seriously Simple Podcasting Plugin. 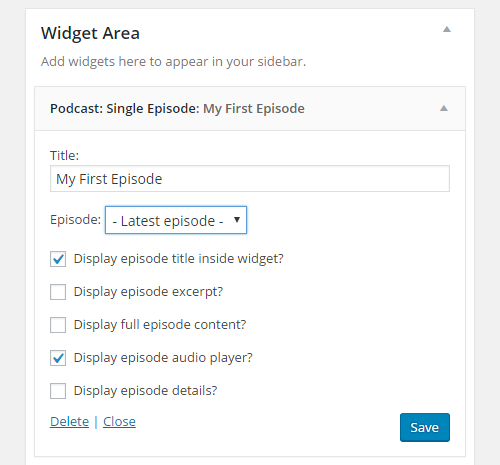 Navigate to Podcast > Add New from the WordPress Dashboard. Select the Audio episode type under the Podcast Episode Details section. Upload the audio file or provide its URL if it’s hosted on another server. Click Publish when you’re done. Seriously Simple Podcasting comes with three widget configurations right out of the box to help you display your podcast episodes in the most engaging way possible. Navigate to Appearance > Widgets to explore the options in detail. The Podcast: Recent Episodes widget enables users to display multiple episodes in the Widget Area. 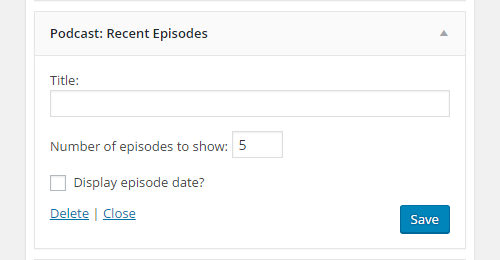 This option lets you manually add how many recent episodes to display in the widget area and lets you choose whether you want to display an episode date with each episode or not. 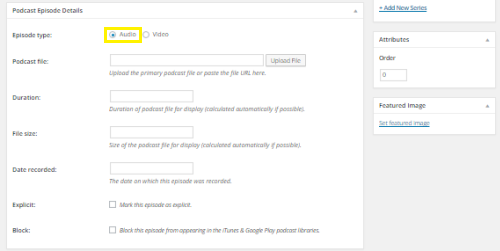 As you can see, the Seriously Simple Podcasting plugin offers several configuration options to help you set up a feature-full podcast and make it visually appealing. It also provides the flexibility of displaying podcast episodes in various formats on your WordPress site. We’ve deliberately chosen the simplest scenario for the sake of this tutorial, but it’s fair to say that even this opens up new possibilities for aspiring podcasters. In this section, we’ll take a closer look at some of the best WordPress plugins that will help you get started with setting up a podcast show from the get go. The Podcasting Plugin by TSG features the bare minimum resources you’ll need to host your podcast through your WordPress site. The plugin enhances the default podcast support by incorporating iTunes support and adding its compatible feeds. With this plugin, users are able to have multiple podcasting feeds based on pre-defined factors. They can also use its media player to enable visitors to listen to (or view) podcasts without having to leave the site. The Podcasting Plugin by TSG is free to use and it’s definitely worth giving a try if you’re experimenting with podcasting. The name says it all! Seriously Simple Podcasting saves you from getting into the nitty gritty details of hosting a podcasting show in WordPress. This plugin is especially suitable for webmasters who shy away from advanced settings pages and are often found asking: “Is there a plugin for that?” (Don’t worry, I’m one of them). The plugin features an easy-to-use interface and a simple process for setting up and managing your podcast. Although the plugin is straightforward to use by default, users can go into its settings to customize their experience. Seriously Simple Podcasting features powerful functionality which makes it one of the most popular choices for both newbies and pros. Blubrry PowerPress is a feature-rich plugin that’s got everything you’ll need to host and manage your podcast show – without having to leave your WordPress site. The developers have declared this plugin to be the No. 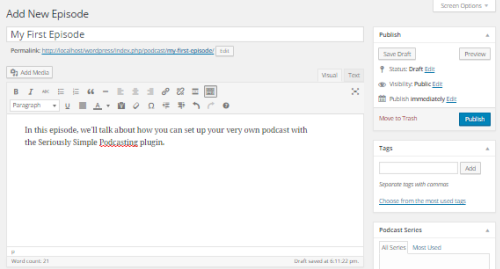 1 Podcasting plugin for WordPress. The Blubrry PowerPress plugin supports some of the most popular podcasting platforms right out of the box, including, iTunes, Stitcher, and Google Play. The standout feature that users receive with Blubrry PowerPress is that it takes care of your podcast’s SEO, as well. 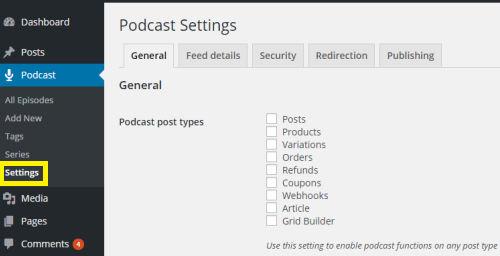 With this plugin, users can set up a custom subscription menu and create multiple podcasting channels through their WordPress site. Whether you’re entering the podcasting world or looking for a more powerful tool, Blubrry has got you covered. Libsyn is one of the most popular platforms for publishing your podcast and its Libsyn Podcast Plugin makes the entire process much, much simpler for WordPress users. The Libsyn Podcast Plugin enables users to publish their podcasts directly to their Libsyn account from within their WordPress site. It takes care of updating your RSS feed and ensures that the media files are stored on Libsyn’s servers. How cool is that? The plugin automatically takes care of your podcast hosting and generates your RSS feeds. This saves your web host from crowding up and having the resources used up by podcasts alone. Cincopa is a multipurpose solution that features a host of options for WordPress users to add all sorts of media to their sites. One of their many services features a media player for podcasters which is designed to simplify the entire podcasting process. The best part about Cincopa’s plugin is that it comes with a ton of built-in options that enable users to get started right away. This light-weight podcasting solution gives users a subscription RSS feed minus the maintenance efforts. In this section, we’ll check out two of the best podcasting themes for WordPress for webmasters who want to go all in with their podcasting show. Let’s check them out. Appendipity’s Podcast Pro is an all-round, versatile podcast theme for WordPress users who want to showcase multiple podcast shows through a single platform. The theme features support for .mp3, SoundCloud files, and Libsyn files. Podcast Pro has a wide range of customization options that enable webmasters to configure its styling by selecting either a dark or light template. In addition to the overall design, users can also get into the nitty gritty design details and tweak the theme’s highlight color, typography, and custom headers to fit their site’s brand. The Podcast Pro theme also comes with detailed tutorials to help beginners set up their site without any hassle. Podcaster is a fully responsive, retina ready WordPress theme for webmasters who want to create and manage their own podcast website. This theme comes with support for native audio and video players right out of the box. It enables webmasters to choose from one of two templates – light or dark. One of the standout features Podcaster has on offer is that it enables users to set up podcast archives to allow their viewership quick access to previous episodes. The theme is optimized for the Seriously Simple Podcasting plugin and comes with comprehensive documentation. Smashing Multimedia is a free WordPress theme for podcasting websites that allows webmasters to showcase podcasts and allow their site’s visitors to rate them without having to leave the site. 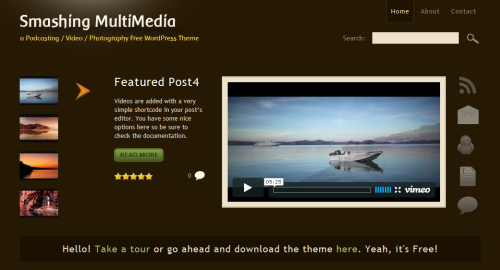 One of the standout features on offer with this theme is that it allows users to add media files using simple shortcodes or by using a media plugin. Those of you who are into designing a custom site can mess around with the themes PSD source files to create a truly unique podcasting site. The theme is localized from the get-go and can be translated into any language. 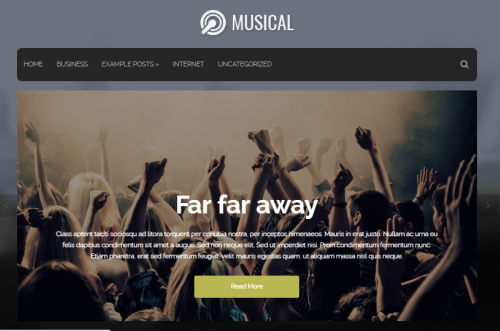 TA Music is an incredibly feature-rich WordPress theme that comes with an audio player right out of the box. Webmasters can schedule special podcast events, launch podcast albums and even publish blog posts with this one of a kind podcasting theme. The theme features a modern music-esque layout and design that is bound to capture your viewers’ attention. The theme also allows users to classify podcasts into different genres. This makes it easy to host multiple podcasters on a single site. In addition to all of this, TA Music also features membership functionality which allows viewers to register with your site. Our Band is a free WordPress theme that is jam-packed with features and offers a visually appealing layout for your podcasting site. It works with the HTML5 MP3 Playlist Player plugin to enable native audio playback within the user’s browser. 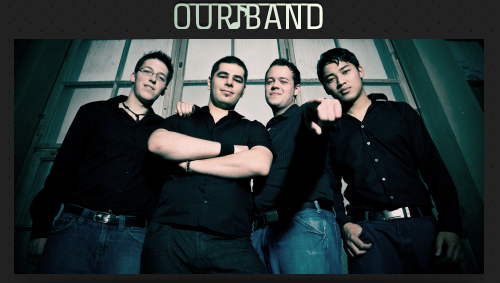 Our Band supports gravatars and author info boxes. This one-of-a-kind theme features a responsive parallax slider which further enhances your site’s visual appeal and allows you to display featured podcasts without exhausting valuable screen real estate. The theme’s shortcode integration makes it incredibly easy to get started with – even for users who aren’t particularly tech-savvy. Musical is a fully responsive podcasting theme that features an incredible layout paired with eye-catching typography. The theme ships with social share buttons and a custom slider right out of the box. The Musical theme is a great starting point for podcasters who are just starting out with their podcasting venture. One of the best things about Musical is its simple yet elegant design. Setting up a full-on podcasting site with this theme is a breeze. You can add audio files to your podcast posts directly from the media library and share them with your site’s viewership. 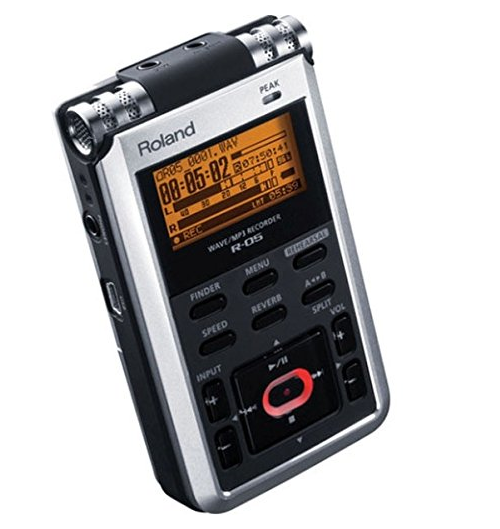 The audio setup your podcast is recorded on holds central importance to how well you’ll do. When it comes to software, they’ve all got the right features in place to help you get started with podcasting. 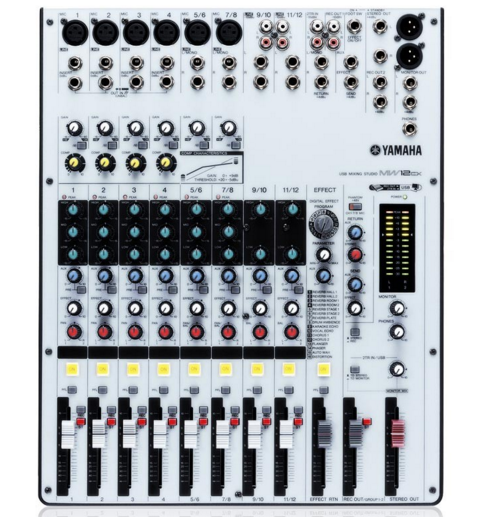 The actual hardware gear you’ll use is far more complicated though and there’s a ton of factors that should be taken into consideration before any purchases are made. Let’s go go through it step by step. Condenser. These types of mics pick up even the slightest sounds and are often paired with a phantom power mixer to function properly. If you have a recording studio then you should definitely go for a condenser mic. Dynamic. Dynamic microphones are directional which means that it’ll only pick up the loudest noise. 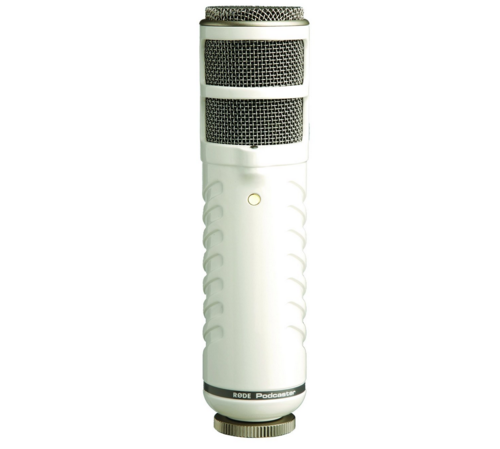 These microphones are most suitable for podcasters who will be recording in a noisier environment. Basically, if you’re recording anywhere but a recording studio then you should go for a dynamic microphone. Rode Podcaster USB Dynamic Microphone. 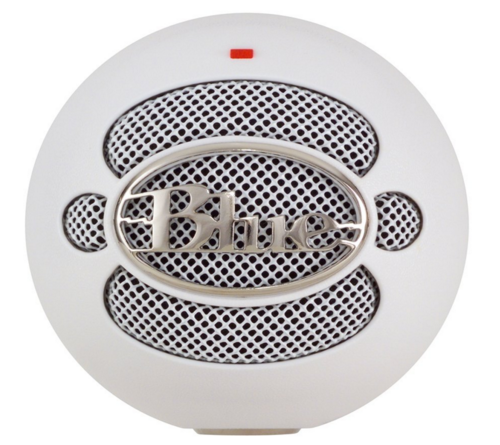 Snowball USB Microphone by Blue Microphones. A USB interface to connect to your computer. Phantom power (in case of condenser microphones). Let’s take a look at some of the most popular audio interface and mixer options available. 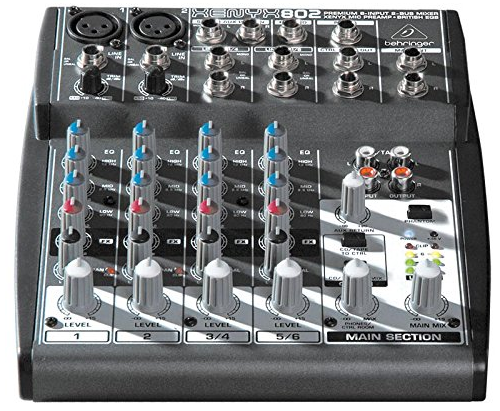 An audio interface is not a bare necessity for those of you who selected USB microphones and are the sole hosts of their podcast show. 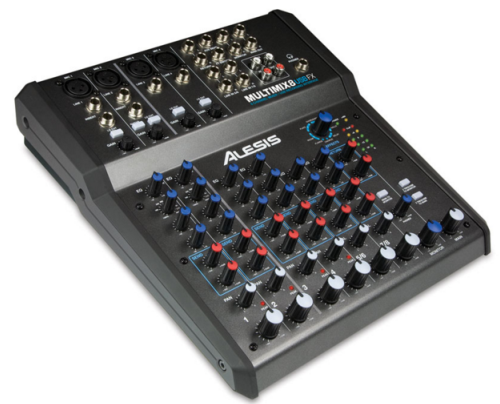 We recommend that you start out small and, if you like it, invest in a mixer or audio interface later on once you’ve got the whole podcasting thing down. Love to travel and dream of podcasting? We haven’t forgotten about all of you travelling podcasters! 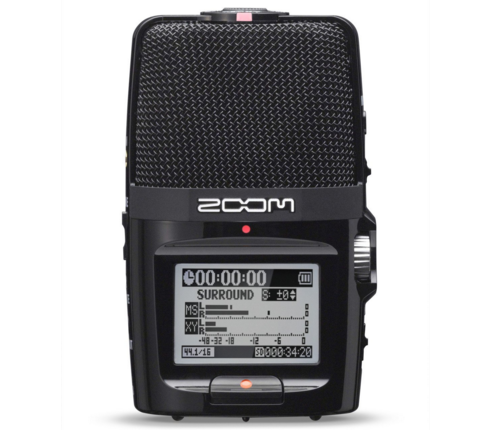 Those of you who’ve always dreamt of hosting your own podcast show but didn’t pursue it because you were always on the go and couldn’t set up a recording studio in a new location every so often can get the job done with one of these recommended powerful, portable recorders. SoundCloud has grown to become one of the most widely used services that brings online streaming and a sense of community to a single platform enabling users to share music and podcasts. Though SoundCloud is mostly used for music, a growing number of members have started hosting their podcast shows through this powerful application. In this section, we’ll take a look at some of the standout features SoundCloud offers and how you can broadcast your first podcast show in less than five minutes. Let’s begin. 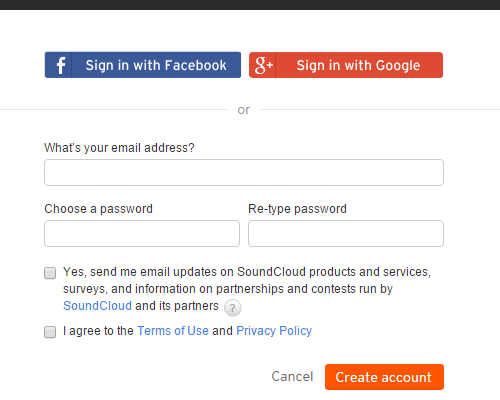 SoundCloud enables first-time users to sign up using either their email address or social media accounts (Facebook or Google). Your name/name of your website. What your podcast is about. Who should listen to your podcast. How listeners can benefit from it. There are hundreds of pretty awesome podcasts out there. This Description box, although small, is one of the biggest platforms through which users can learn what your show is about and most importantly why they should listen to what you have to say without actually streaming it. Pat Flynn has a really good description on his podcast Smart Passive Income. With a free account, you’ll be allotted a total of 180 minutes – it’s not a lot but it’s enough to get your podcast started. 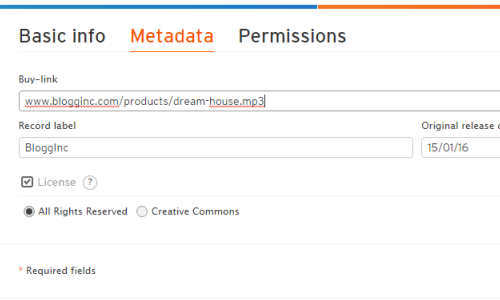 Once you’ve entered your track’s Basic Info (name, description, etc), switch to the next tab over Metadata that allows you to set a buy link on the track. This essentially means that you can sell your tracks instead of putting them up for free. You can even add a license to it! There you have it! You can have your first podcast show up and running in three simple steps. Hosted by Brian Krogsgard and Joe Hoyle, the Post Status: Draft podcast informs WordPress developers and enthusiasts about the industry. This podcast includes Post Status interviews, conversations, and editorial for the WordPress and web community. WPTavern’s WordPress Weekly is weekly podcast that talks about all things WordPress-related with its speciality being news and special interviews. The show is hosted by Jeff Chandler and has 223 episodes at the time of writing. The creators of (yet another massively popular) podcast This American Life created Serial. Each season of this podcast show covers a true story in detail. This podcast is one of the best ones to tune into if you’re hunting for an engaging and well-formed storyline to follow. Fast Company has declared Gimlet Media as one of the Top 10 most innovative media companies. Gimlet Media’s podcasts are split up into five shows: Surprisingly Awesome, Mystery Show, Reply All, Science Vs, and StartUp. Rainmaker.fm covers everything from best practices to success stories and techniques to tried-out strategies that will help you accelerate your online business. Each episode has invaluable advice to offer backed up by real experiences and in line with the trending digital marketing landscape. You may be familiar with SitePoint’s Versioning Podcast which brings you the best people the tech industry has to offer, learning what makes their brain tick to gain their insights into the evolving world of web development and design. The goal is to keep you in touch with the people pushing the envelope on web design and development, mining their brains and sharing their insights and ideas so you can take your own work to the next level. Podcasting is an unsaturated market and making a strong entrance today is entirely possible. Though traditional podcasting might be over a decade old, it’s still growing rapidly today. Setting up a podcast with WordPress is super easy once you’ve got the equipment set up. We covered some tools and plugins to help you get started and hopefully you’re in a better place now to take things further yourself. For even more information, be sure to check out The Definitive Guide to Podcasts. Which plugins do you use for podcasting? Which podcasts do you listen to and what do you like best about them? We’d love to hear from you so let us know in the comments section below! Maria is a computer scientist, professional writer, and content strategist. She's also the Editor-in-Chief of BloggInc. She provides high-quality articles on a wide range of topics including WordPress, technology, and web design.